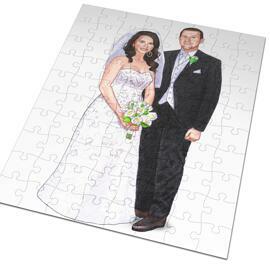 Get a full length body type caricature of bridal pair, standing near the parents, guests or family members. 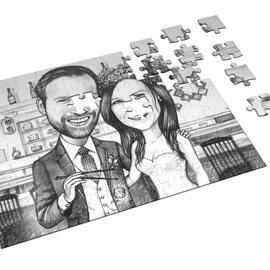 Wedding Caricature will be hand-drawn from submitted photographs in monochrome style on A4 or A3 Paper. Standing or sitting pose can be drawn upon request. 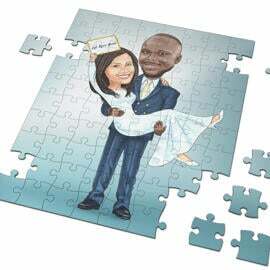 It is necessary to mention all individual specifications, which can include suit type, dresses, bride's bouquet, bride's hair style. 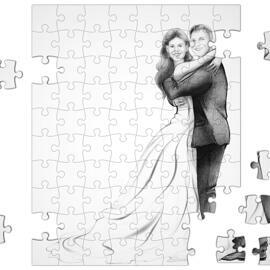 If you have a beautiful photo from which we can depict all details, then you just have to attach it below. 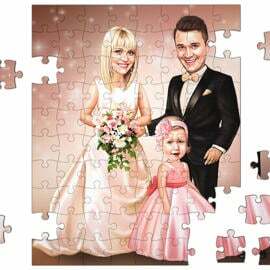 Caricature made of bridal pair with guests or parents, will make a great memento for them, which will be cherished for a long time. 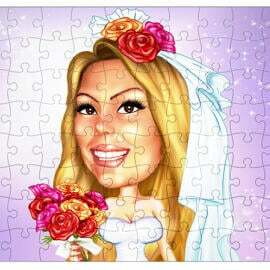 Wedding will be delivered as a stunning looking JPG File to your Email. 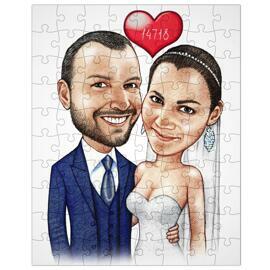 Additional deliveries at extra cost: Original Wedding Picture, Caricature printed on Photo Paper or Canvas. All items are shipped worldwide.